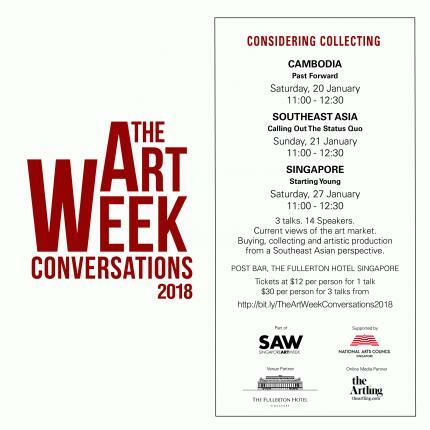 The series provides current views of the art market, buying, collecting and artistic production from a Southeast Asian perspective; for both the experienced and novice collector. In a country where almost an entire generation of artists has been lost, and the art gallery and exhibition system is still nascent, how do artists sustain themselves? What does the future hold for new artists? The panel includes curator Erin Gleeson, a curator and scholar of Cambodian contemporary art; and Leang Seckon, one of the foremost members of the Cambodian contemporary art scene. Since the 1970s, Southeast Asian modern artists have joined in the cross pollination of cultural identities mainly through artists’ associations. In the 1990s, museums, galleries and auction houses led the region’s art growth. But is Southeast Asia simply an organized mess of separate identities? What are the ties that bind the region in terms of art languages and production? 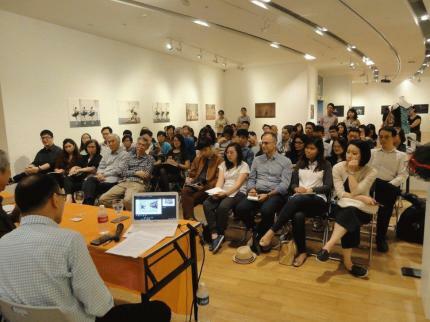 Join our discussion with Tan Boon Hui, Director of the Asia Society Museum, Johnni Wong, veteran art journalist, and Roberta Dans, Founder and Director of Artesan Gallery + Studio. In the fourth edition of our discussion on Singapore, we consider the art scene from the point of the Next Generation. What does the future hold for young and/or new collectors as the market evolves? What sort of art do they collect? How do they deal with shifting paradigms on art, gallery practices, and buying online? In the shortened timing where choice, art developments and price increases may be exponential, will buying young artists’ works become too risky? We hear from gallerist Stephanie Fong, collectors Bryan Tan and Ning Chong, and artist Ruben Pang. 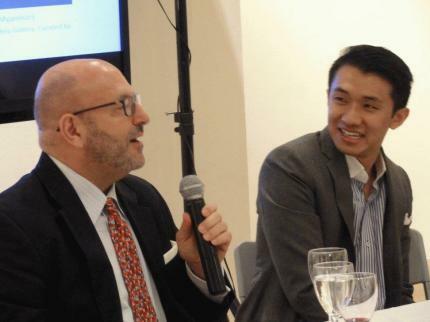 Come join us to learn more about these three exciting markets for art collectors. Do join us too for The Art Week Tour for an enjoyable day looking, hearing and talking about art on-site – including the unique opportunity of visiting corporate collections! Join The Art Week Tour & Conversation 2018 Facebook Event Page for updates!